Israel has deported more than 120 foreign activists detained after a deadly raid on an aid flotilla trying to break its blockade of Gaza. The activists were taken to Jordan. Hundreds more, most of them Turkish, are due to be deported soon. Nine activists died when Israeli commandos boarded the six-ship convoy early on Monday. Israeli media reports say the families of its diplomats in Turkey have been ordered to leave the country. Turkey, formerly a close ally of Israel, has been one of the states most vocal in its condemnation of the raid. Diplomatic sources in Ankara have said at least four of those killed were Turkish, and Turkish Prime Minister Recep Tayyip Erdogan accused Israel of a "bloody massacre". The activists were received by their families and embassy officials after a 10-hour wait at the border. Differing accounts of the attack on the flotilla continue. A Malaysian doctor who identified himself as Mohammed claimed 16 people were killed and he said he witnessed four deaths. He alleged the Israelis first used rubber bullets, then live ammunition. The activists have now gone on to Amman, where they will travel to their respective countries. The incident has sparked widespread concern and increased pressure on Israel to lift its blockade of the Gaza Strip. US Secretary of State Hillary Clinton called the situation in Gaza "unsustainable". She said on Tuesday that Washington would support an Israeli investigation of the raid but it must be "prompt, impartial, credible and transparent", as called for by the UN Security Council. Israel has maintained control of Gaza's airspace and territorial waters, as well as most of its land borders, since withdrawing troops and settlers from the territory in 2005. It says the blockade is necessary to avoid the risk of weapons being smuggled into Gaza. According to the UN, Gaza receives about one-quarter of the supplies that it received in the years before the blockade was tightened in 2007. Israel and Egypt sealed off the territory after militant group Hamas seized power there in 2007. About 120 pro-Palestinian activists arrived in Jordan via the Allenby crossing on Wednesday morning. 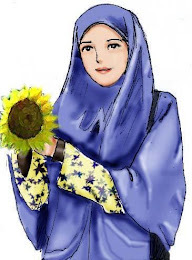 The activists came from Arab and Muslim nations, most of them without diplomatic ties with Israel, such as Malaysia, Indonesia, Bahrain, Kuwait and Pakistan. The UN Charter on the Law of the Sea says only if a vessel is suspected to be transporting weapons, or weapons of mass destruction, can it be boarded in international waters. Otherwise the permission of the ship's flag carrying nation must be sought. The charter allows for naval blockades, but the effect of the blockade on civilians must be proportionate to the effect on the military element for the blockade to be legally enforceable. A ship trying to breach a blockade can be boarded and force may be used to stop it as long as it is "necessary and proportionate". An investigation, either by the UN or by the ship's flag-carrier Turkey, is required to find if the use of force was proportionate to a claim of self defence. They were greeted by a crowd of sympathisers, who cheered and chanted in celebration after a 10-hour wait on the Jordanian side of the border, says the BBC's Dale Gavlak at the border. Another 200 Turkish activists have been released from prison to be flown home. Hundreds of other activists - including 30 Britons and 10 more with dual British nationality - are still in Israeli jails, but Israel says it is aiming to complete deportations by Thursday. Israel had seized more than 670 people with the ships. Around 50 activists were deported early on Tuesday. Meanwhile, another ship carrying aid has set sail for Gaza intending to challenge the Israeli blockade, organisers said. Greta Berlin, of the Free Gaza Movement, said on Tuesday that the MV Rachel Corrie would "be there within the week". Five of those on board are Irish, including Nobel Peace Prize laureate Mairead Maguire, prompting Irish Prime Minister Brian Cowen to appeal for its safe arrival in Gaza. "If any harm comes to any of our citizens it will have the most serious consequences," he told parliament on Tuesday. He said Dublin had asked Israel to ensure the boat "complete its journey unimpeded and discharge its humanitarian cargo in Gaza". Eyewitness accounts of the raid from some of those activists released earlier cast doubt on Israel's version of events. Israel said its soldiers were attacked with "knives, clubs and other weapons" when they landed on the Turkish passenger ship Mavi Marmara and had opened fire in self-defence. German politician Norman Paech said he had only seen wooden sticks being brandished as troops abseiled on to the deck of the ship. And Israeli Arab MP Haneen Zuabi told a press conference that troops began firing while still in the helicopters hovering over the ships.The six ships, carrying more than 100 tonnes of aid and 700 campaigners, had sailed from Cyprus in a bid to break Israel's blockade of Gaza. 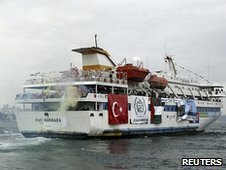 Israel had warned organisers that the flotilla would not be allowed to arrive. Following the Israeli raid, Egyptian President Hosni Mubarak ordered the border crossing between Egypt and the Gaza Strip to be opened. The Egyptian state news agency said the latest opening was to allow humanitarian aid through. It is not clear how long it will be kept open. The Rafah crossing has been closed since 2007, although special medical cases are occasionally allowed through. HOW ISRAEL RAID UNFOLDED: Pic 1 The flotilla of six ships, including the Turkish ferry Mavi Marmara, was on its way from Cyprus to Gaza carrying supplies including cement, paper and water purification tablets. HOW ISRAEL RAID UNFOLDED: Pic 2 As the flotilla, still in international waters, neared Gaza, Israeli commandos intercepted the boats from air and sea. This image shows a soldier rappelling from a helicopter onto the upper deck of the ferry. The Israelis say their soldiers were set upon and beaten with bats, chairs and metal poles as soon as they boarded the Mavi Marmara. Activists say the soldiers attacked them first. As the incident escalated, the Israelis used live weapons on the activists, although the exact circumstances are unclear. 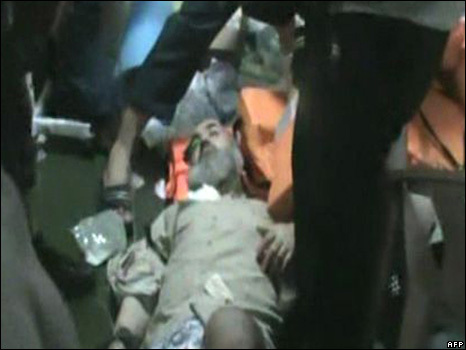 This still from Turkish TV footage shows first aid being given to an injured activist. At the end of the incident at least nine activists were dead. Israel escorted the flotilla to the port of Ashdod and detained the protesters. An online maritime tracking map shows the route taken by the boats. TQ for d moral support..